Become a Certified Coach of Jonny Bowden’s Diet Boot Camp™ System Weight Loss Coaching Program and build a specialized coaching practice helping clients lose weight, look fitter, feel happier, and be more productive. Weight loss coaching is a culmination of many factors. Not only does losing weight require physical training, but it also requires good state of mind. After years of teaching people about health Dr. Jonny Bowden recognized he could only make positive changes in the body if he could make positive changes in the mind. The core of his success is based on his unique mind/body connection training—a blend of nutrition, fitness and psychology. Most diets fail because they are one dimensional. They fixate strictly on diet. Through a multi-disciplined approach, Jonny successfully developed a three dimensional system focusing on diet, thoughts, and emotion. This is why only experienced, trained coaches are able to deliver this unique program and why you now have an incredible opportunity. 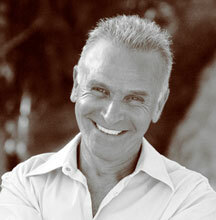 Jonny Bowden is personally training and licensing his trademarked Diet Boot Camp™ System to a limited number of qualified coaches. Diet Boot Camp System™ Weight Loss Coaching is a graduate level program. All participants must be graduates of an accredited Certified Coach Program and have an active coaching practice. In special circumstances permission to enter the program can be granted by Dr. Jonny Bowden. 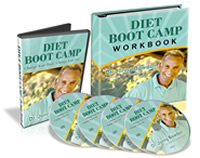 The Diet Boot Camp™ System Weight Loss Coaching Program is presented in a convenient teleseminar format and delivers the fundamental skills you need to help your clients lose weight, feel fit and enjoy life. A 10-week intensive training provides you with the tools and understanding for successfully implementing Dr. Jonny Bowden’s Diet Boot Camp™ System. Upon graduation, you are licensed to use the full Diet Boot Camp System™ with no restrictions. You are also provided Diet Boot Camp™ System resources and supporting materials to develop an ongoing coaching relationship with your clients that expands into additional areas of health and long term coaching engagements. With this program you are able to coach so your clients are virtually guaranteed success, not only in weight loss, but in the rest of their life, as well. Study the intersection between ‘coach’ and ‘nutritionist’ and learn how effective weight loss coaching incorporates information from both disciplines. Discover a proven 9-step progression to help your clients achieve success no matter where they begin. Understand the role of hormones in weight gain and how you can use this information to your advantage. Gain an appreciation for the role of genetics and how to how to tailor a diet program for the individual needs of each client. 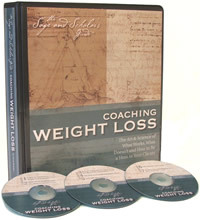 Coach a comprehensive plan for life change, not just weight loss. A program 13 years in the making and based directly on Dr. Bowden’s personal one-on-one coaching. Gain a comprehensive understanding of health, nutrition, and diets that you can share with your clients and present in group classes. Apply new research from psychology, neuroeconomics, appetite control and decision making to your clients specific challenges. Integrate new weight loss coaching skills and unusual techniques that enable you to guide clients to their goals and coach with confidence. Mentor clients and facilitate group sessions using the art and science of weight loss coaching as your solid base of expertise. Implement a proven, successful system for extended coaching engagements beyond weight loss. Expand your coaching knowledge and skills to distinguish your coaching practice, create a niche’ market and attract more clients. Utilize tools, exercises, food almanac and journal with directed questions. Listen at home, in your car, or on the go. Developed by Glen Depke, ND—for use with each of your clients and best of all, is royalty-free. You will also receive workout plans for all fitness levels including a 10-minute “emergency” workout routine in low, medium, and high intensity levels. The Partner Program and The Diet Boot Camp Workbook™ is available for use by course participants, as well as their clients. Authorized Weight Loss Coaches earn fees and share in a generous Affiliate Partner Program. You will also be included in the Referral Network in the Registry of Authorized Weight Loss Coaches™ licensed to use Jonny Bowden’s Diet Boot Camp system™ and associated products. You even earn fees on workbooks and optional products sold to your clients. Included as part of your license is a customizable PowerPoint Presentation for promoting your services. This dynamic and informative selling tool does the marketing work for you. Customize it with your name and/or logo and use it for lunch talks and presentations to prospective clients. Enroll in the Diet Boot Camp System™ Weight Loss Coaching Program Today! Contact Us at 888.432.4121 or Support@CoachTrainingAlliance.com for upcoming enrollment dates. The Weight Loss Coach Training Program teaches the Core Competencies and is certified by the International Coach Federation (ICF).